Borscht is far simpler than people make it out to be. Chop 2 large beets, 1 medium mushroom, and 1 shallot. Add 1.5 qt water and about two tablespoons of bullion. 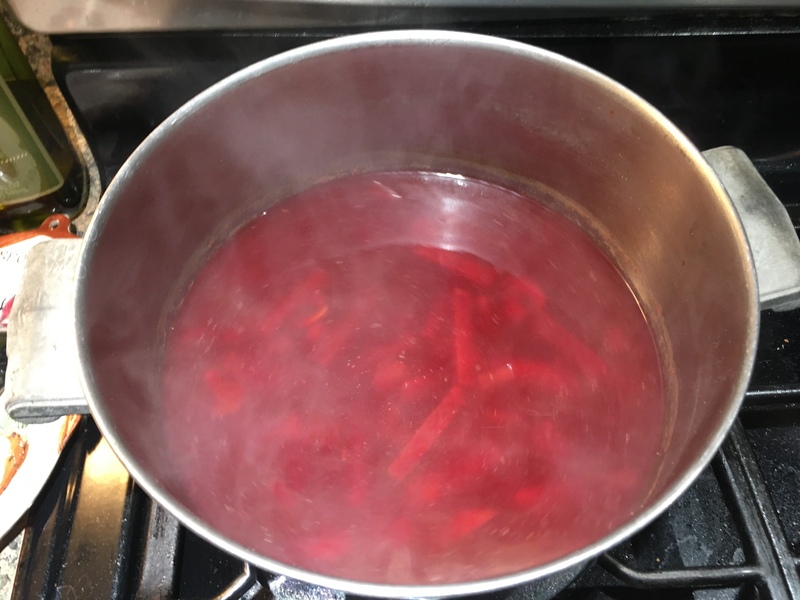 Simmer until color changes and beets are soft. Win!